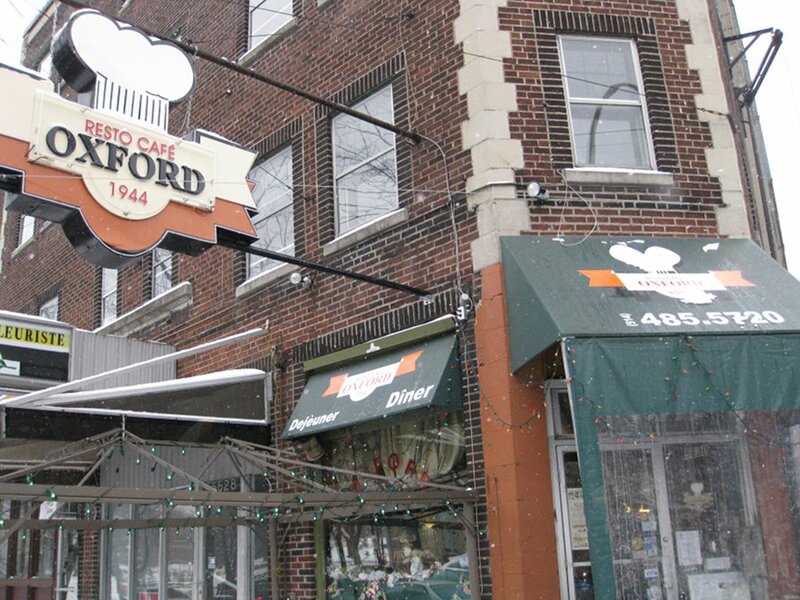 Out in NDG is an institution called the Oxford Café. I say institution because it has been around for ages. Lots of people in the area know it well and it had a reputation for a good breakfast years ago. It’s a no-frills diner style spot that does not look like it’s changed since it opened. 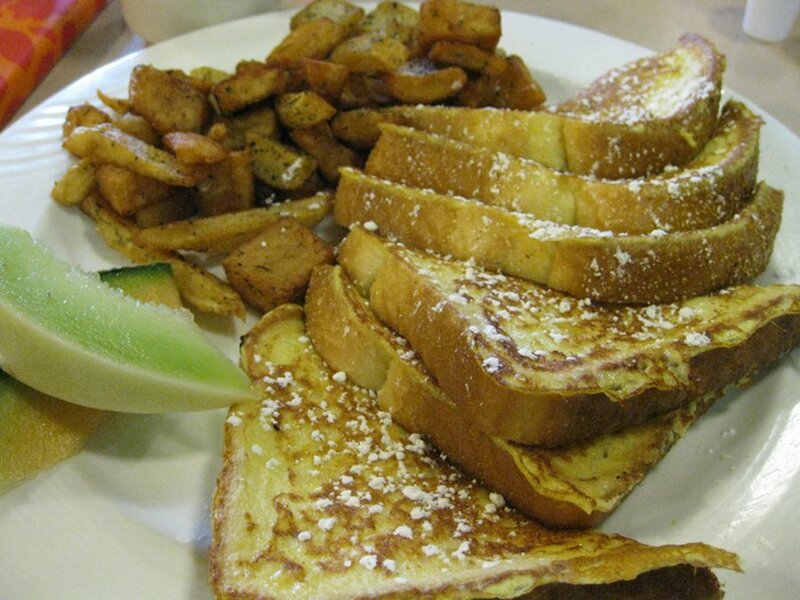 You come in to get some classic breakfast dishes, have some drip coffee and kick it old school maybe with a newspaper and let your day sink in. So, with this institution around and almost having done every spot in NDG I felt I needed to check it out. When you come in, the first think you will notice is how narrow it is. The cash is at the front and there’s tables all along with the washrooms in the back. The place may not be that wide but it goes deep. 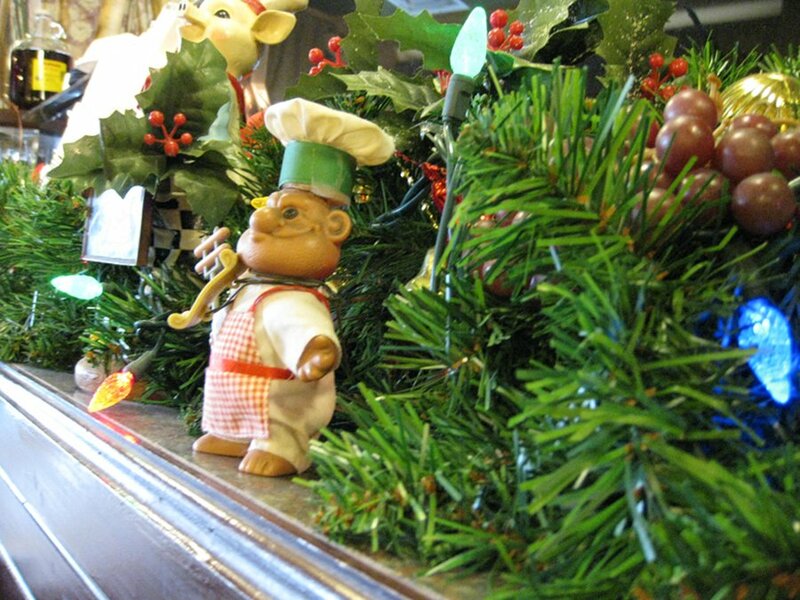 We went in winter time and saw some serious Christmas decorations and even a troll doll dressed up in Christmas gear. Apparently, they take Christmas seriously here. We sat a few tables in and immediately discovered that the cold gets let in when people leave the door open for too long. After adjusting to the cold, we looked around and saw that they were at about 25% capacity and most of them seemed to be locals. 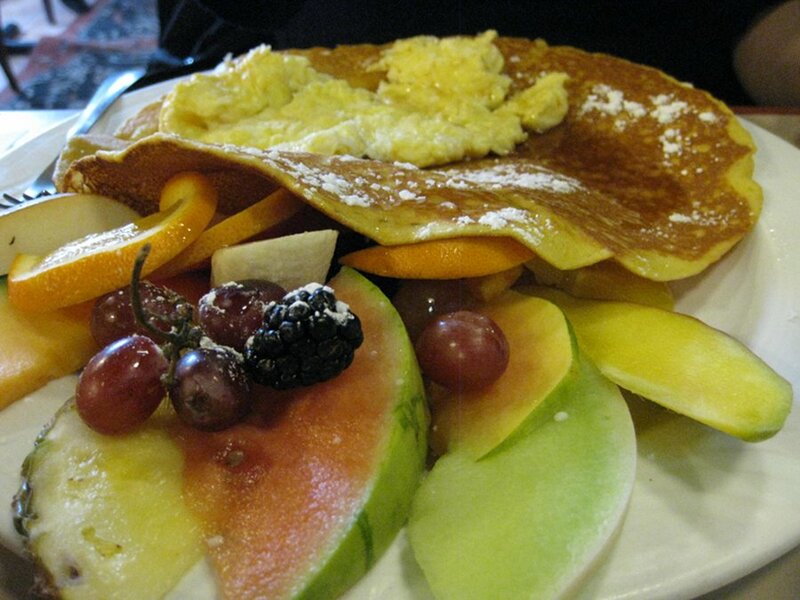 My friend had the pancakes ($10.95) and the pancakes were giant and topped with powdered sugar and some fruit. They even had mango in the fruit which is nice to see since it’s not normally on a breakfast menu, so points for that. The pancake was made better by adding some maple syrup. I mean, come on maple syrup makes almost anything better. The pancake portion was ample and although it was not very thick, there was more than one so I got to finish up the dish. I ended up having the French toast ($6.95) and this dish did not come with free coffee so I had to pay an extra $1.45. On a good note, the coffee did come with free refills and there were plenty of French toast slices (6 in total). The dish came with some fruit (less than the pancake dish) and potatoes. The potatoes were tasty and had an interesting spice on them which may have been dill. I enjoyed the potatoes and was pleased when I discovered some French fries in my cubed potatoes. The service was warm and straight forward. Our coffee was refilled frequently. We were never rushed to pay. The menu is safe for vegetarians with not every dish being meat focused. Overall, this place is not fancy and is your basic diner spot where “what you see is what you get.” Oxford Café has loads of character where the dishes are fairly priced and the portion sizes are generous. They have some specials for students which is a nice touch and they never close so you can be sure to find a breakfast in NDG, even on holidays. If you are looking for a breakfast that’s convenient and not too fancy, then this is your spot. They used to have this great Canada Dry sign and replaced it with that oversized tacky beige thing with a chef’s hat. For this crime against heritage and good taste, I refuse to walk in there.